There is no denying that few things can match the impact and splendour of having a tree in your garden. Trees can be a source of year round interest and, depending on the variety, can be used for any number of things from, ornamentation, to screening, even a source of food, but one thing they all tend to share is their size; they’re big. This of course contributes quite a lot to the charm of trees, with their overarching canopies that work as centre piece and backdrop both, but what if you have a smaller garden? Does having limited space mean you miss out on all the variety and enjoyment of having a tree or two in the garden? 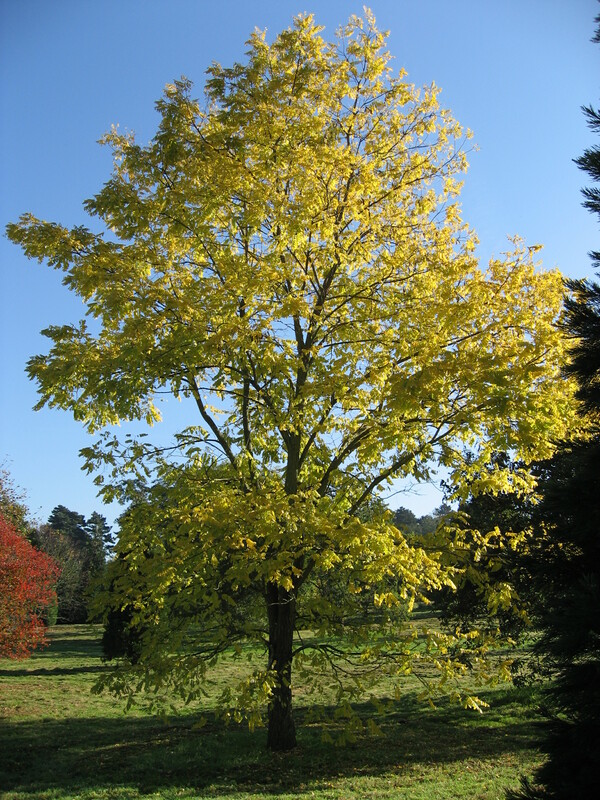 Thankfully it does not as there are plenty of smaller varieties of ornamental tree that will fit nicely in most small gardens. Still there are a few points to be clear on before you get to planting, so here are a few tips to get you barking up the right tree. Firstly: What do you want the tree for? 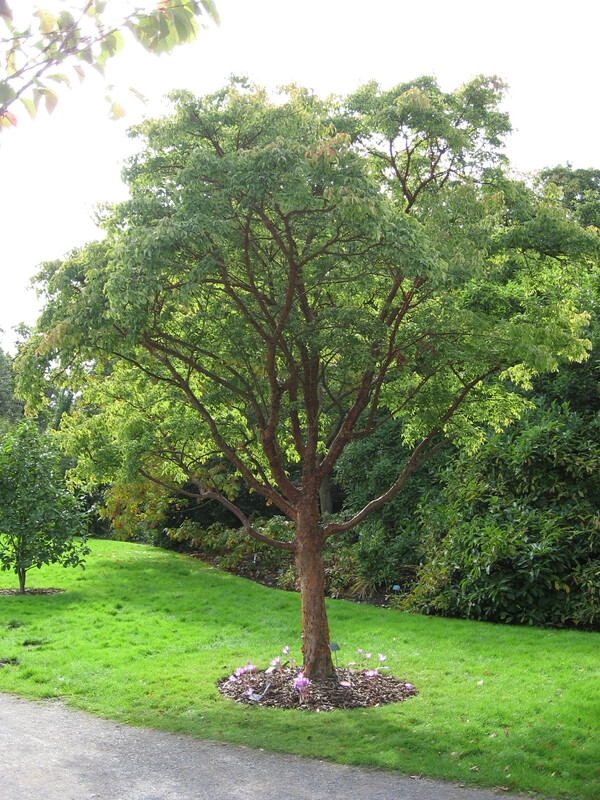 Trees, even small ones, come in a wealth of varieties. The first step when deciding to put a tree in your garden is to decide exactly what you want from it. Whether it be as a focal point in a planting plan, as a barrier to provide a little privacy or as a background plant to offset planting in the foreground, the best thing you can do is to decide early on exactly what you want the tree to do in your garden. The reason for this is simply that the sheer variety of small trees means you can probably find a species that is perfect for your needs and will happily fit into the niche you have set out for it in your garden. Of course this means you have to have a specific niche in the first place in order to find your perfect tree, so decide what you want in general before heading off to the nursery and it will make researching and ultimately choosing your tree all the easier. Secondly: When’s best to enjoy your tree? Again, deciding ahead of time when you want your tree to provide the maximum impact during the year makes the whole process that much simpler. There are all sorts of variations to choose from; firstly deciding whether you want an evergreen or deciduous tree is important, the former being great for privacy as it will stay full and green all year, while the latter is good for changing interest. You can get trees that are covered in blossom during the Spring, full and lush in the Summer, burst into glorious colour in Autumn or add colour with berries in Winter. That said, few excel at every stage of the year, so decide when you want your tree to be at its best and that will help you to pick the perfect variety for your garden. Thirdly: Mind the roots. One of the most important things to remember when choosing and planting a tree is that they cannot be dug up and moved once they are established, certainly not easily at any rate. So to begin with you need to be sure you’re happy with the positioning of the tree before it goes in, which pretty much goes without saying. However, there is more to it than simply choosing where in the garden the tree will look best, a factor many gardeners forget about is where the roots will go. You have to remember that the roots of a tree will extend around it far further than even the canopy in search of water and nutrients. The key here is to research your chosen tree and see how its roots behave, some will have finer roots that tend to go around obstructions while others will have very strong roots that will grow in a straight line regardless of what gets in the way. In the latter case it might be best not to plant your tree right next to your new patio. Tree roots have caused damage to pavements, roads, even the foundations of houses, so be sure to be aware of your tree’s surroundings and how its root system grows. Fourthly: Check the headroom. Following on from the last point, and it may seem like an obvious thing to point out, but trees have a habit of growing reasonably tall, even the small ones. Many of the smaller varieties of trees you can buy from a nursery will be around three or four meters tall, depending on the variety, at time of purchase. Don’t think this will be the case forever though, every tree, no matter how small it was meant to be will try to grow as big and tall as it can, often up to six or seven metres, just as its canopy will grow outwards over time. So if you have any other large plants near to where you’re planting your tree, or perhaps some power cables going over the garden, or even a washing line, make sure none of them go too close to where you’re planting your tree because it will grow. Get the right position, with the correct aspect and plant your new baby properly, with all the love and attention it deserves and you are creating history as in most cases, it will be there for a long time and possible will outlive you. Whatever you do and whatever tree you select, enjoy it. They are all quite wonderful.